Fortescue Falls made of softer rock grey and pale brown dolomite. 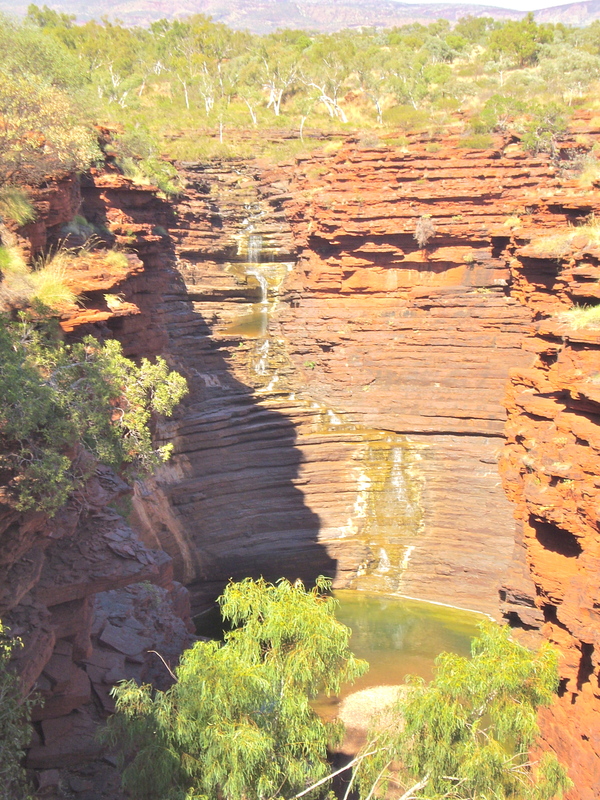 The rocks exposed in and around the gorges we explored such as Dales, Kalamina, Weano and viewed such as Joffre and Knox are mostly banded iron formation and belong to the Brockman Iron Formation part of the Hamersley Ranges. Deposited in the Hamersley Basin over a 350 million year period this formation consists of alternating layers of fine grain quartz, iron oxides, carbonate minerals and chert. Grey or pale brown Dolomite and beds of soft purple or pink shale are also present. The uplifted and then deeply dissected plateau is called the Hamersley Surface where the gorge erosion probably took place in the Late Cretaceous or Early Cainozoic when the Pilbara gently titled North-Westward. Rivers then cut downward eroding softer shale and Dolomite finding lines of weakness in the joints and faults aiding head-ward erosion. 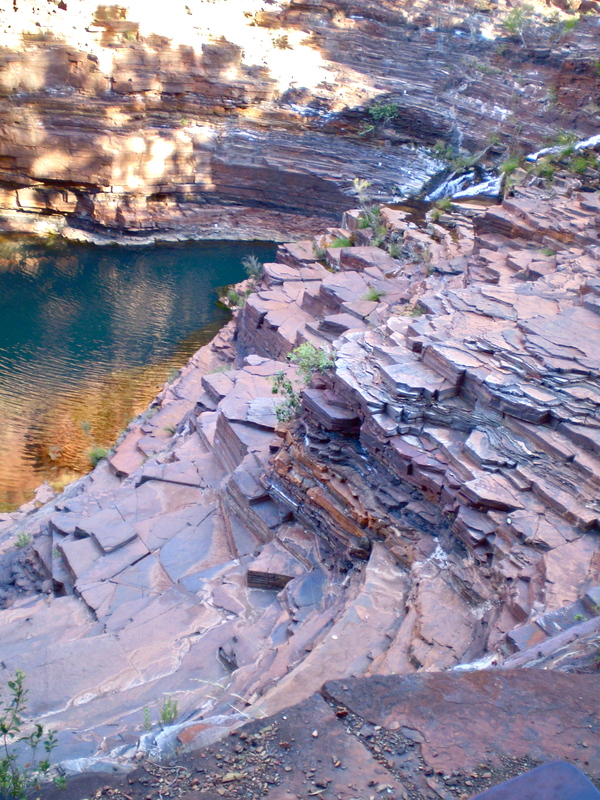 The formation of the Karijini gorges is estimated to have taken 20 million years. Joffre gorge shows layers of rock formation undisturbed for 350 million years. Categories: Preliminary photographs | Tags: Dales Gorge, Fortescue Falls, geology | Permalink.